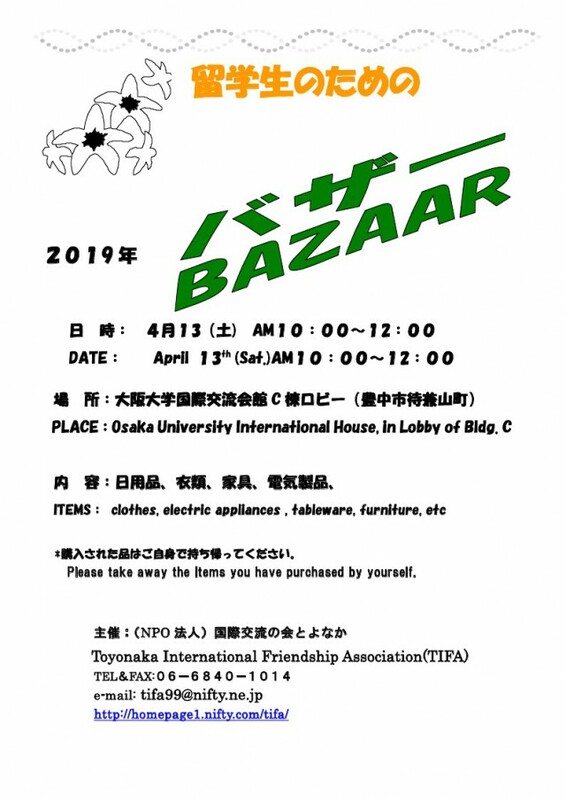 Items: Daily goods, table ware, clothes, small furniture, electric appliance, etc will be sold at low prices. Please bring purchased goods home by yourselves. 10:00-12:00 at Toyonaka International Center. Every 1st and 3rd Thursday every month except national holiday and summer/new-year period. *TIFA Multicultural Salon for Mothers and Children (Tabunka Kosodate Salon) are held basically on the 1st and 3rd Thursday every month. 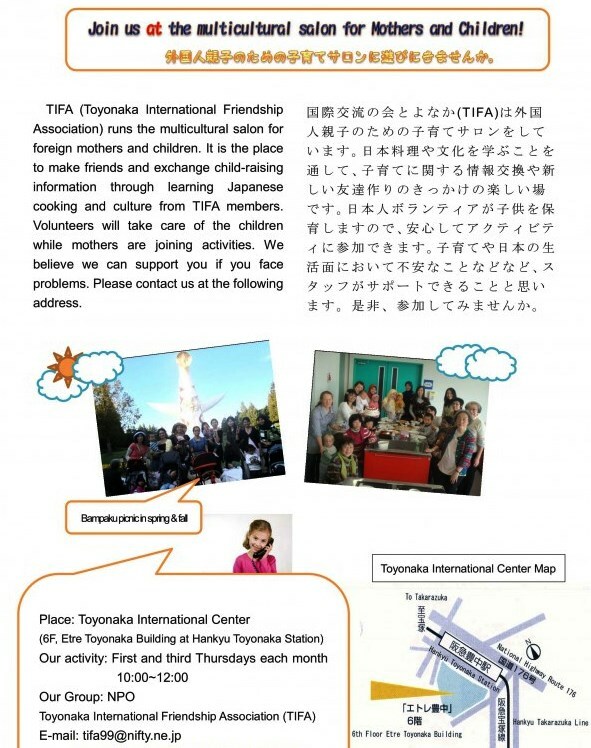 *Please contact TIFA before you join for the first time. Items: Clothes, table ware and other daily goods. You can find necessary items in quite low price. Why not come and enjoy shopping! 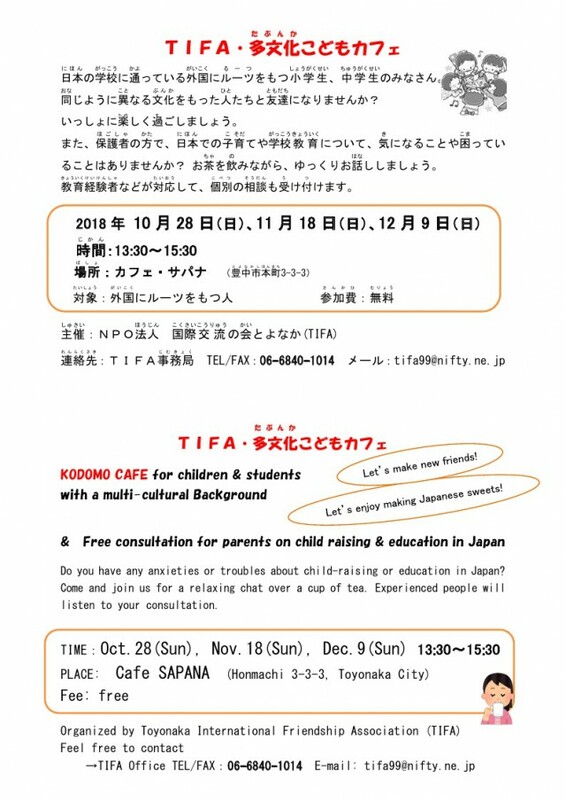 Every foreign students studying in Japan are welcomed! For details, please see the attached fliyer.